This very popular lightweight durable riding glove is made with our own special blend of stretchable nylon and Lycra spandex. This very popular lightweight durable riding glove is made with our own special blend of stretchable nylon and Lycra spandex. 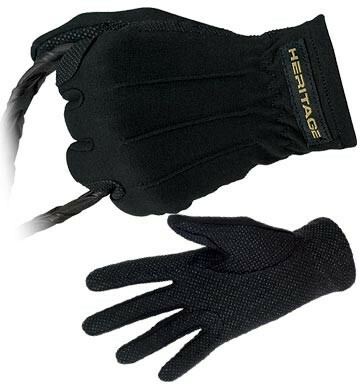 The PVC dots pattern palm design provides an excellent grip on the reins whether you are showing or pleasure riding.